To ensure Canadians living below the poverty line have access to proper clothing and other basic essentials necessary for a dignified and prosperous life. The founders of Toronto food recovery program Second Harvest, Joan Clayton and Ina Andre, became aware of the urgent need for decent clothing for people relying on social service agencies. They registered Brands for Canada Ontario (formerly known as Windfall Basics) as a charity in 1992. By 1996, the organization was receiving and distributing more than 9,000 pieces of clothing per month. Since 2011, we have been receiving more than 900,000 pieces of clothing, personal care items and housewares. BFCO (Windfall Basics) was rated as the number one most cost-effective charity in Canada by MoneySense Magazine in 2010 and 2013. We provide NEW, donated clothing, plus NEW personal care and NEW houseware items, at no cost, to people living in poverty. 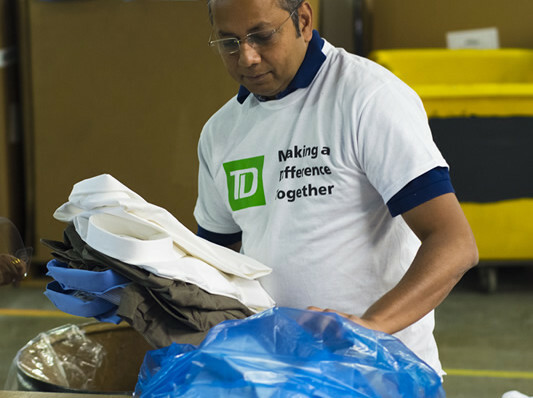 These items are collected from participating brands across Canada and distributed to those in need through specifically selected, trusted social service agencies. We are building our network of distribution partner agencies across the country. They serve a broad scope of Canadians—the homeless, abused women and children, at-risk youth, immigrants and refugees, people with physical or mental disabilities and people enrolled in job training or job search programs.